The Chlobo Zodiac bangles are a fabulous addition to the beautiful Starry Eyes collection, crafted in 925 Sterling Silver inscribed with three words to represent each Zodiac .The Sagittarius bangle is for those born between 22 November - 21 December characterised as adventurous, independent and witty. This stylish design features two interlocked bangles of different widths, with a Sterling Silver pebble charm with the Sagittarius symbol engraved. 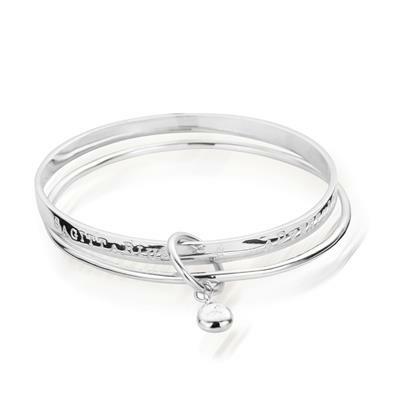 This bangle makes a meaningful birthday present and is a great way to personalise a bracelet stack.